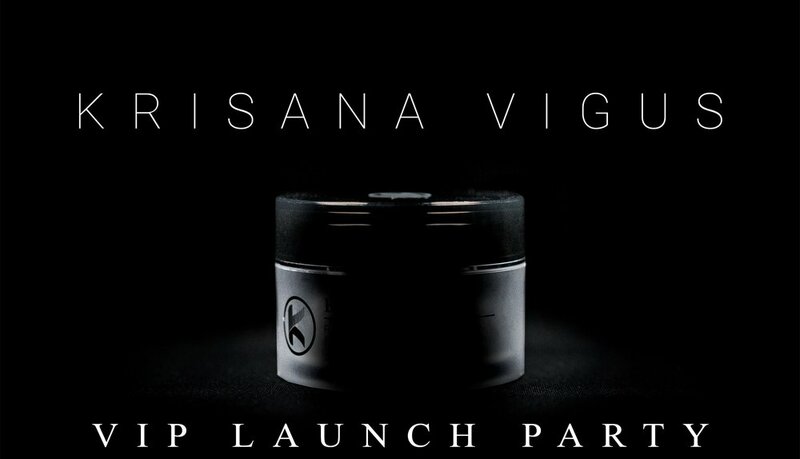 Exclusive release of Krisana Vigus’s groundbreaking new product. Join us for an incredible evening and meet the woman who has brought beauty and nature together. Enjoy a delectable dinner while discovering the revolution of skincare. Use tag on any public post on Instagram/Facebook to receive discount code in your inbox. Must have a public profile and post. Limit one per person. Offer Expires May 31st, 2017 at 12:00am. From Field to Body; we derive our most powerful ingredients from sustainably sourced natural origins, complimented by the influence of science to maximize the effectiveness and absorption of nutrients. Blending the forefront of biotechnology with the timeless healing properties of Mother Nature, a recipe for innovation. Balancing Organic and natural ingredients, representing up to 98% of the product, with synthetic delivery agents for your health and beauty, maximizing the natural elements. Every ingredient in our skincare has been thoughtfully hand-selected and considered for its overall efficacy of the product; lacking any filler ingredients, all of our additives perform a specific function and purpose, synergistically working together to create the best possible product. Our philosophy of natural skincare is rooted in Krisana Vigus’s childhood in Thailand. Born and raised on a farm, Krisana experienced first hand the true definition of “all natural”: fresh picked fruits, hand harvested vegetables, locally sourced herbs. At the peak of dawn, Krisana’s family tended to the fields till the end of dawn. Till this day, Krisana still honors the vibrant forests and wildlife of Thailand, making all of our products vegan and cruelty free to sustain the planet she calls home. Being naturally sourced is only half the battle, we refuse to fall into quick trends and fads, setting our goals on healthy holistic lifestyles instead. As a wife, mother, and grandmother, Krisana understands the value of quality of life, and strives to maximize the happiness and wellbeing of others. Complementing the power of Mother Nature with cutting-edge science, our skincare provides clean beauty while being: paraben free, sulfate free, and petroleum free. We believe in holistic beauty beyond equality, crafting a unisex product for everyone. Perfect for men, women, and all genders. With minimalistic elegant packaging, our products are right at home on anyone’s counter. All skin is created equal, however, not all skin is the same; we strive to promote the root health of the dermis to provide results for all skin types.